Home / Blog / Birmingham Conservation Trust launches its Supporters Group – Join Us! Birmingham Conservation Trust launches its Supporters Group – Join Us! We recently found out that in the last 12 months over 23,000 unique visitors looked at our website! We like to think that a large number of these visitors have an interest in what we do here at the Trust. 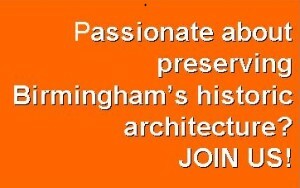 Certainly we know that so many of you share our passion for preserving Birmingham’s architectural heritage. You already support the cause! Why not help us further by becoming a Supporter of the Birmingham Conservation Trust? At no time have Birmingham’s historic buildings or conservation areas been more under threat. 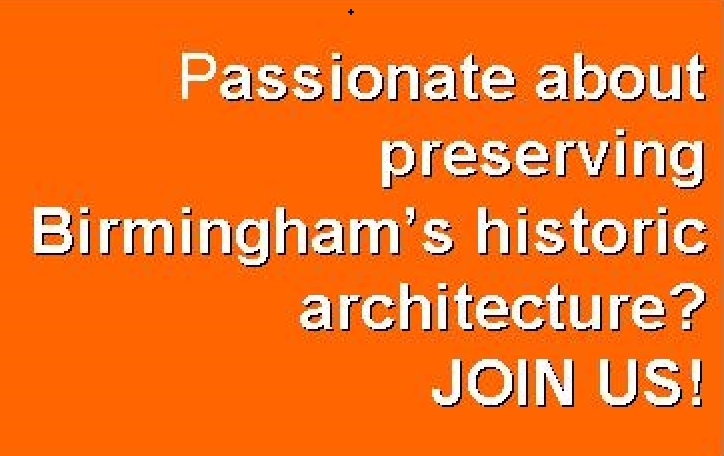 The latest initiative in our campaign to save the best of Birmingham’s historic architecture is to set up a Birmingham Conservation Trust Supporters Group. A programme of social events, talks and group visits to West Midlands heritage sites. A growing number of people already support the Trust by doing voluntary work for us; after sixteen hours of voluntary work these will receive the benefits of membership of the Supporters Group free of charge for the following year. To subscribe, please go to our Supporters Group page.